The terms deer tick and wood tick commonly describe various subgroups of ticks. These terms are often used interchangeably, particularly depending on the location. If these terms are often interchanged, how does one tell them apart? The term deer tick is used to refer to several species of parasitic, disease-carrying ticks of the Ixodes genus under the Ixodidae family. In the western coast of North America, it refers to the Western blacklegged tick, or Ixodes pacificus. 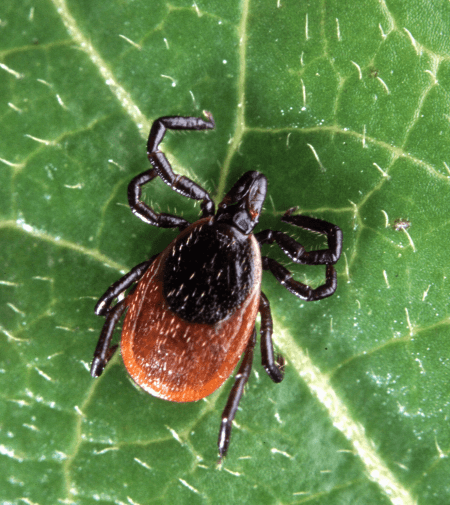 Many fear this species of deer tick as the principal carrier of Lyme disease, a bacterial disease that can later develop into disorders in the heart and nervous system. Most people in the West coast call it the blacklegged tick. In the northern and eastern regions of the Midwest, it refers to Ixodes scapularis, a hard-bodied tick also known as the bear tick in some areas in the U.S. It can cause several diseases among humans and animals such as anaplasmosis, babesiosis, etc. It usually clings on white-tailed deer hence the name deer tick. In Europe, the term refers to Ixodes ricinus, also known as the castor bean tick. It is a carrier of tick-borne encephalitis and Lyme disease. A deer tick that had just finished feeding will be engorged, and its abdomen turns a light, grayish blue. An engorged deer tick looks very different when it has not fed, making it easy to think it is a different tick species. A deer tick usually has a life span of 2 years and goes through three life stages – larva, nymph and adult. The deer tick requires a blood meal before it can move to the next stage of its life cycle. The word wood tick is also a common term for the genus Dermacentor, also called the American Levi tick. It is a member of the Ixodidae family, also known as hard ticks in some places. This subfamily of hard ticks is everywhere, having native species on all continents with the exception of Australia. As of 2010, about 34 known species make up the Dermacentor genus. One common species under this genus is the American dog tick. Mammals such as horses, deer, cattle and even porcupines are host to this tick species. While wood ticks do not carry Lyme disease, they do carry other diseases and can cause tick paralysis. Experts believe the American dog tick is the carrier of the Rocky Mountain fever on the Eastern coast of the U.S. 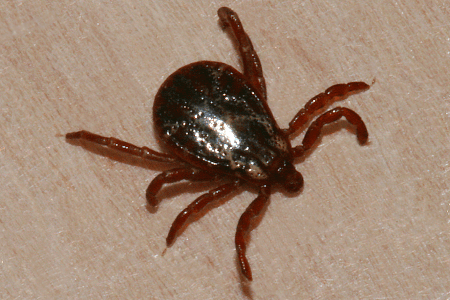 The Rocky Mountain wood tick can also spread tularemia, commonly called tick fever. So what’s the difference between a deer tick and wood tick? While deer ticks and wood ticks are sweeping terms for ticks under the Ixodidae family, they belong to two separate subgroups. The word deer tick refers to several tick species of the genus Ixodes that includes Ixodes pacificus (i.e., Western blacklegged tick) from the western coast of North America. Ixodes scapularis (i.e., bear tick) is from northern and eastern regions of the Midwest U.S. In Europe, it is Ixodes ricinus, also known as the castor bean tick. Wood ticks of the Dermacentor genus are found in all continents except Australia. It currently has 34 known species. Most members of the deer tick subgroup are common carriers of Lyme disease, whereas, members of the wood tick subgroup are carriers of various pathogens that cause many diseases such as the Rocky Mountain fever and tick paralysis.